To my eye, the Yedo appears to be almost identical identical to the Czechoslovakian-made Haro. 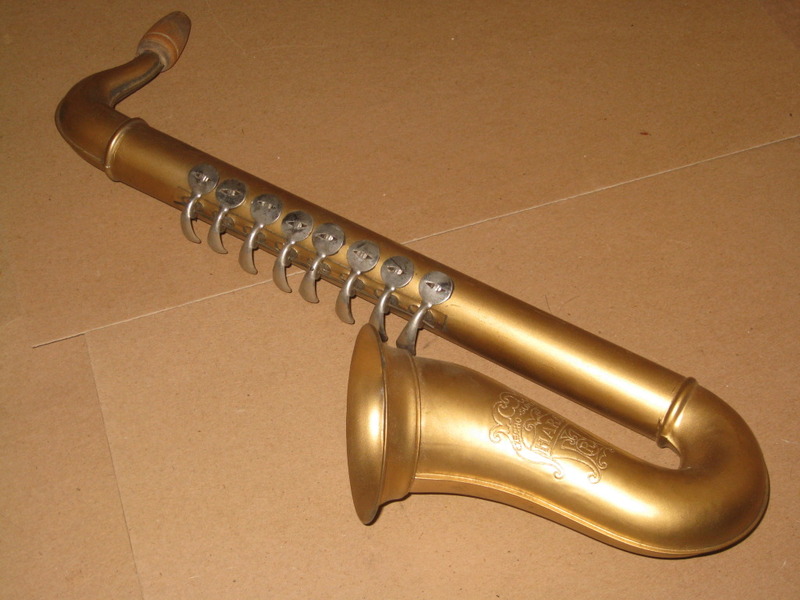 However, whereas the Haro was made European-made, the Yedo was made in Japan. 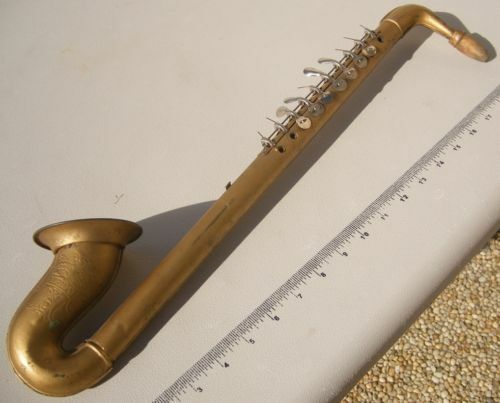 This toy sax is approximately 20″ long. 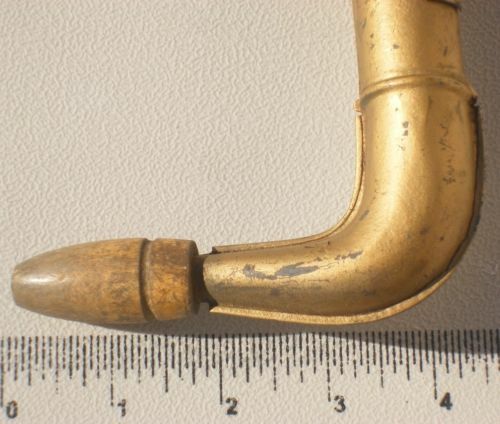 It has a wooden mouthpiece. Several of the keys are broken. The bell ring is loose, but I believe that that is the way it was made. The bell is embossed with Made in Japan, YEDO and has the letter D in the design. As illustrated in the photos, this Yedo was originally built with 10 keys, as well as 2 bass/chord buttons. 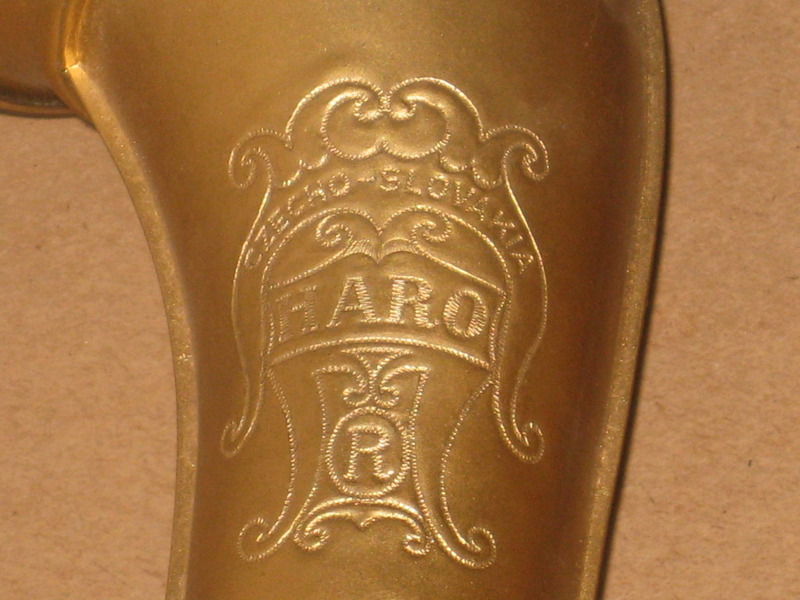 Its bell engraving is nearly identical to that of the Haro. 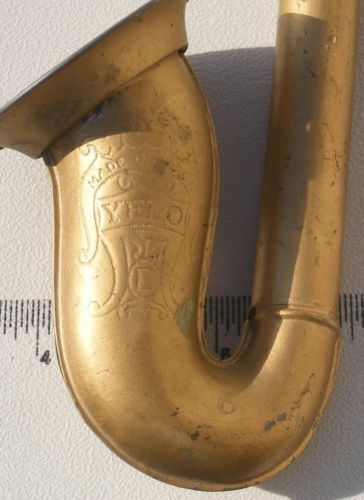 However, while the Haro has the letter “R” in the circle in the bell engraving, the Yedo has the letter “D”. The Yedo is also a 2″ longer than the Haro. The Haro is 18″ long, while the Yedo is 20″ in length. 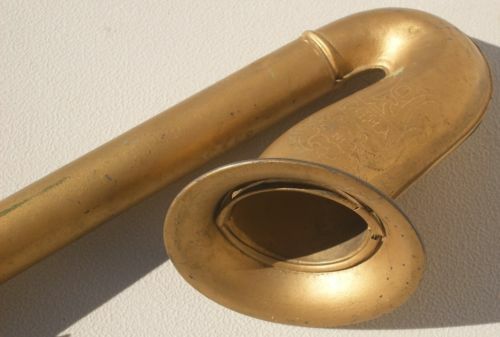 The wooden mouthpiece and gold paint colour look pretty much the same on both instruments. Although I cannot say with 100% certainty which came first, I would hazard a guess that the Yedo is a copy of the Haro. In the early half of the 20th century Japan was well known for copying almost everything European. Why should blow accordions be exempt from this?